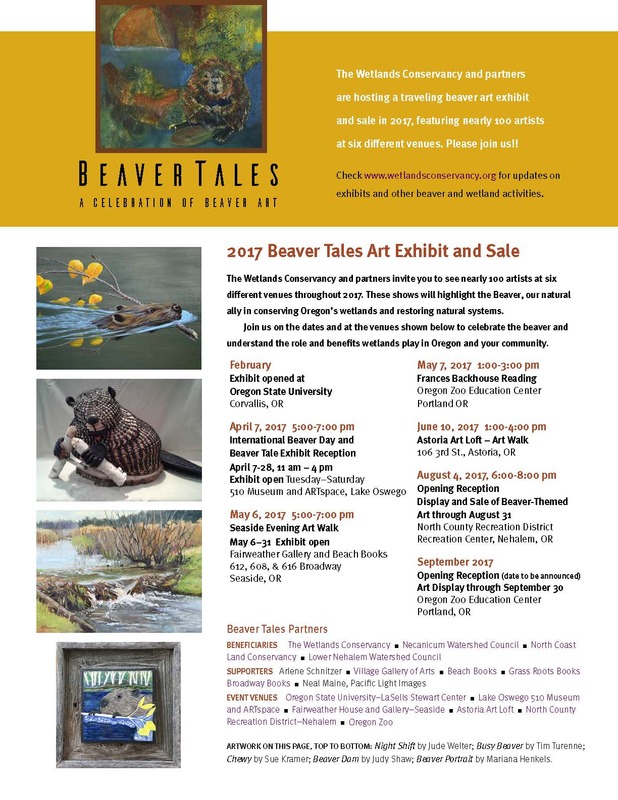 The art of BEAVER TALES, Seaside sale and exhibition, opening May 6th, 2017. And, too, quite a few of the appointed artists and selected guest speakers arrive, as well. 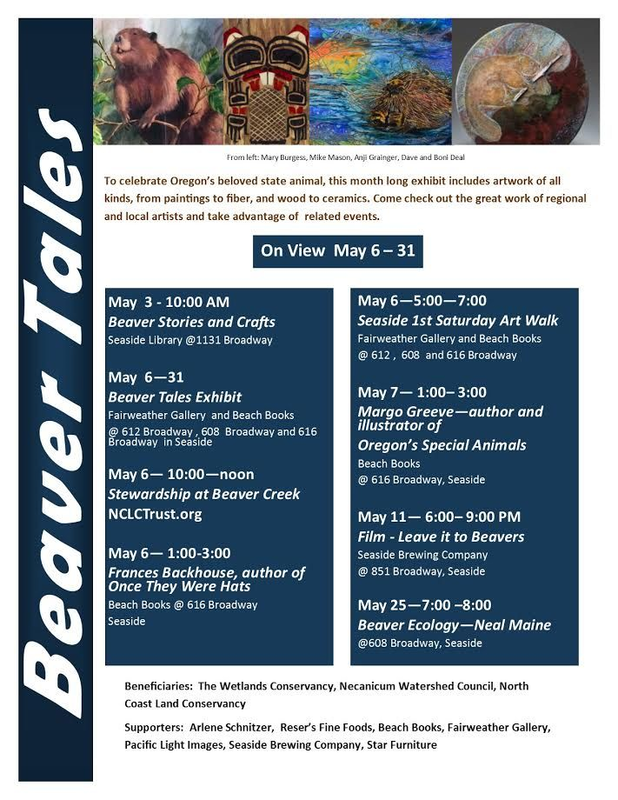 To celebrate beavers and their contribution to the ecology of the North Coast, The Wetlands Conservancy, Necanicum Watershed Council and North Coast Land Conservancy have partnered with local businesses to host the Beaver Tales Art Exhibit and Sale in Seaside, Oregon. 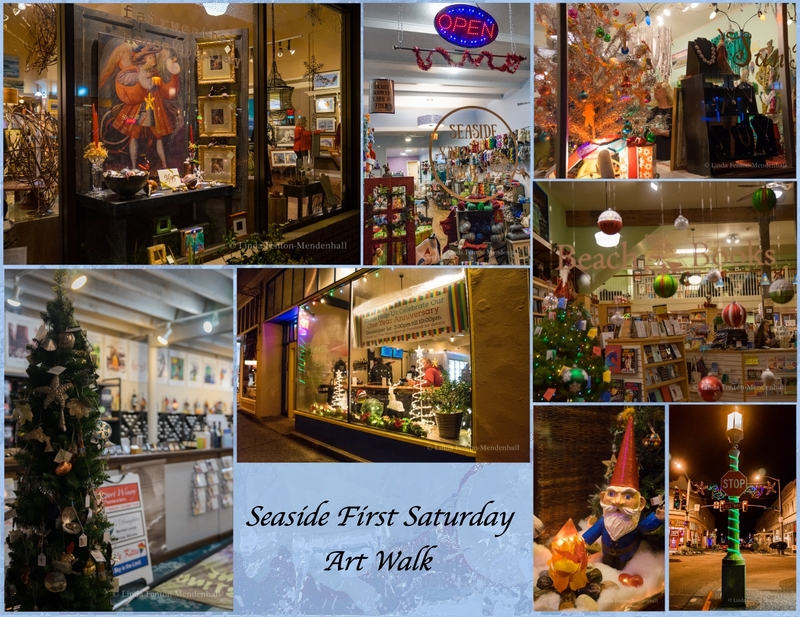 The exhibit opens on May 6th, as part of the Seaside First Saturday Art Walk, from 5:00 to 7:00 PM. Beaver-themed art will be available at the Fairweather Gallery (612 Broadway), at the adjacent Pop-Up Gallery (608 Broadway), and at Beach Books (616 Broadway). 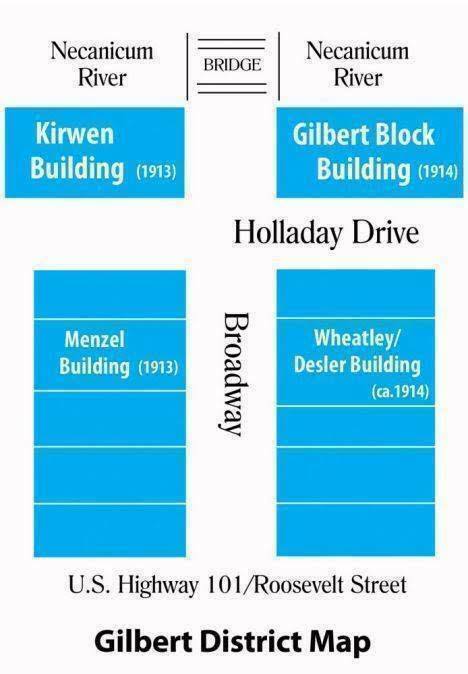 The exhibit will be on display at all three locations through the end of May. The traveling exhibit includes artwork of al kinds, from paintings to fiber, wood, stone, glass and ceramics. 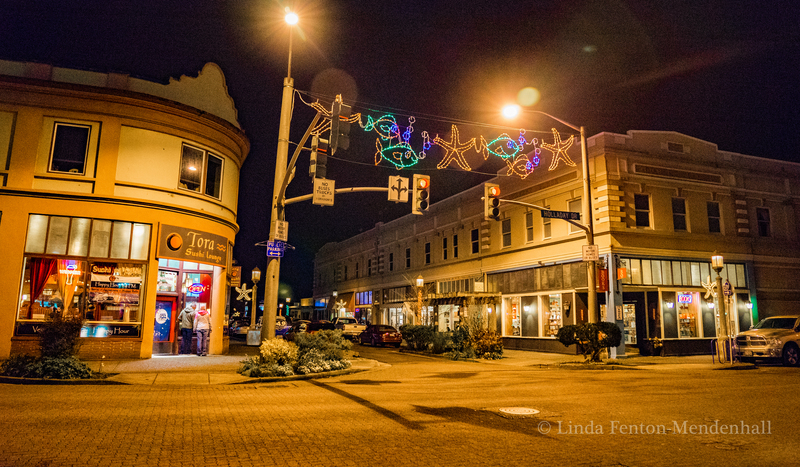 With regional and local artists displaying their work, this stop in Seaside will bring together a multitude of styles and creativity. 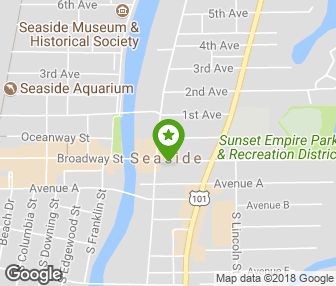 Along with the month-long display, there will be workshops, tours, and other activities around Seaside. The exhibit will feature juried art for purchase, benefitting the three nonprofit sponsoring organizations listed above. The goal of the exhibition is to recognize the aesthetic and ecological significance our state animal plays in the creation and maintenance of wetland habitats. Beavers, though woefully misunderstood, actually create and sustain wetlands that aid in resuscitating wetland and riparian stream habitats. They play a central role in shaping our future as we prepare for transformations that a warming and changing climate may bring. The sponsoring organizations are working together to learn more about how we can work with beaver to conserve and restore natural systems. Sara Vickerman retired after 37 years from Defenders of Wildlife, where her job was the conservation of wild animals in functioning ecosystems. She holds degrees in art, anthropology, biology, geography and education. 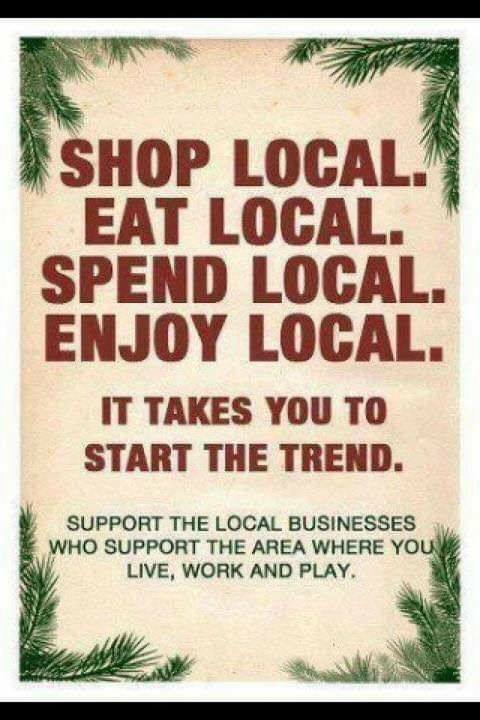 Take note! 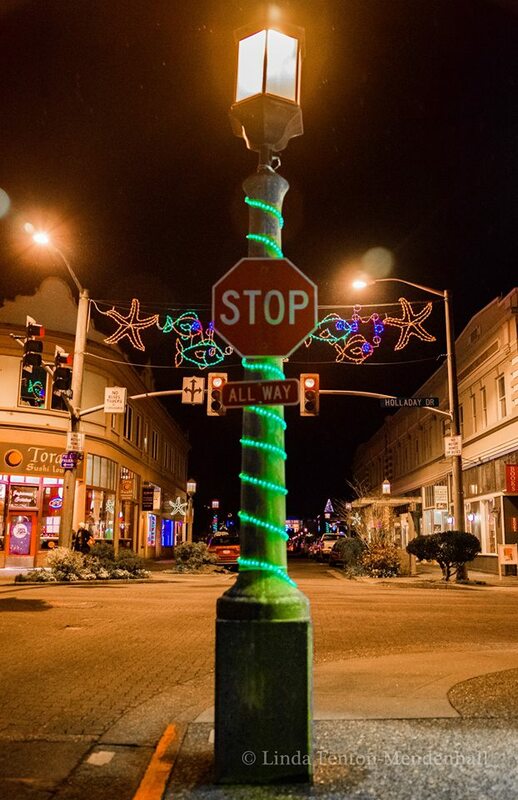 Beaver Tales Art and Exhibition runs throughout the month of May in the historic district of downtown Seaside.